OLW 63: We're Back Baby! Here's a quickie post with another male birthday...one of my brothers in law shares my birthday. 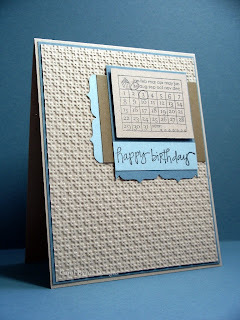 This was quick and easy using that wonderful embossing folder from SU.....LOVE that texture! 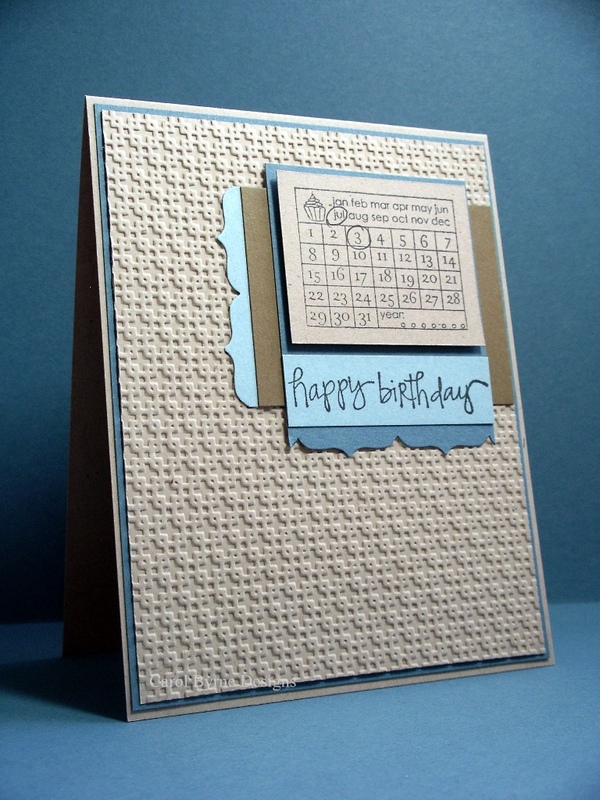 Cardstock all SU, sentiment is Studio G from Mike's or Jo's and the calendar is a Snag 'em stamp from Imaginisce. Border punch is Fiskars. Carol, what a great design. Love the colors and it really makes a nice masculine card. Another great masculine card! You go girlie!